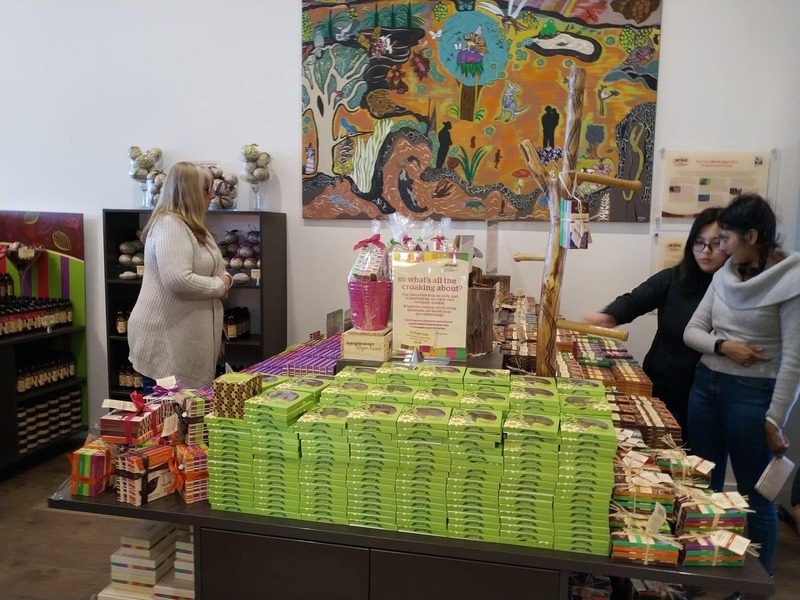 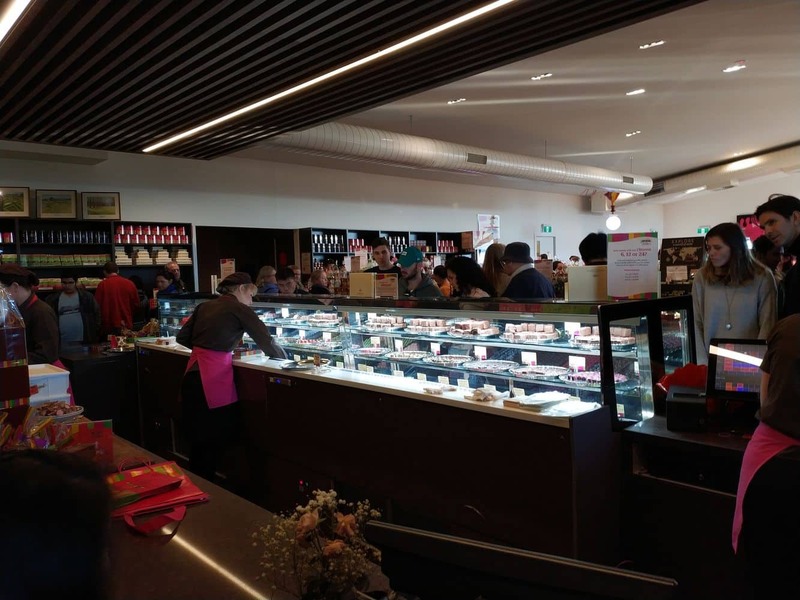 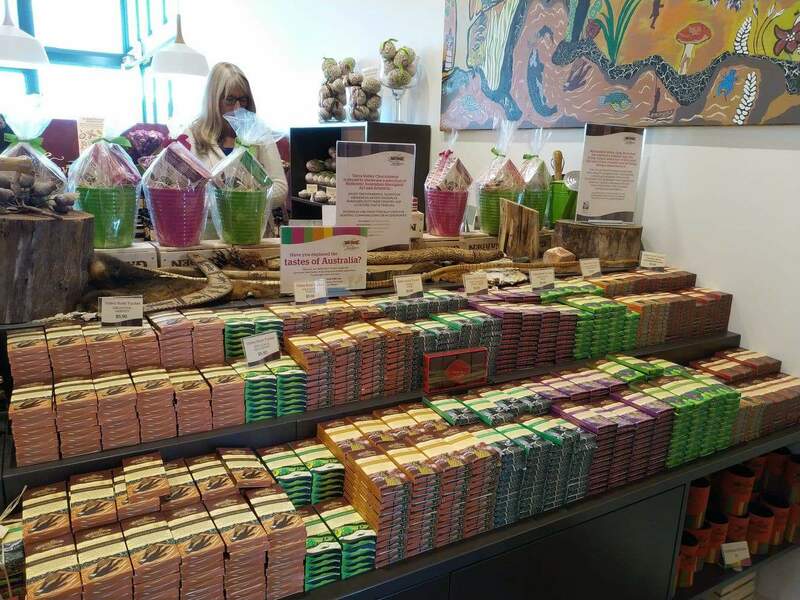 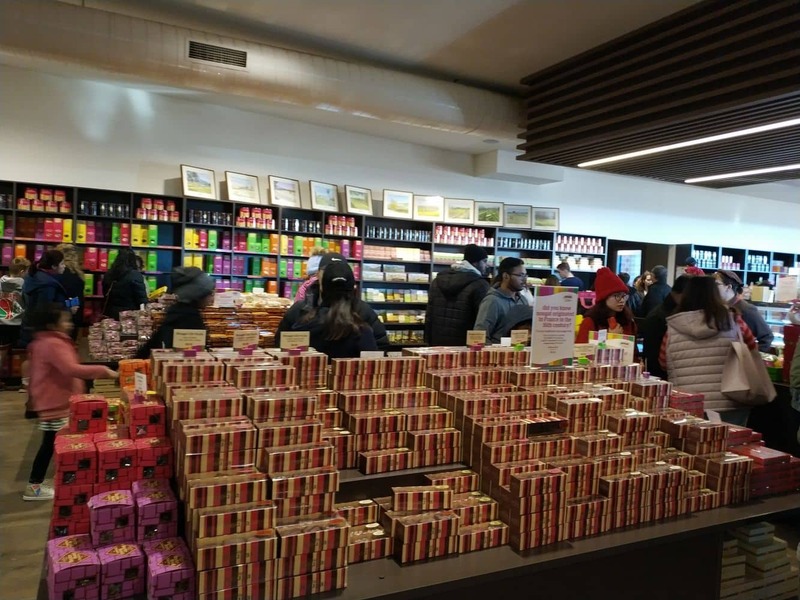 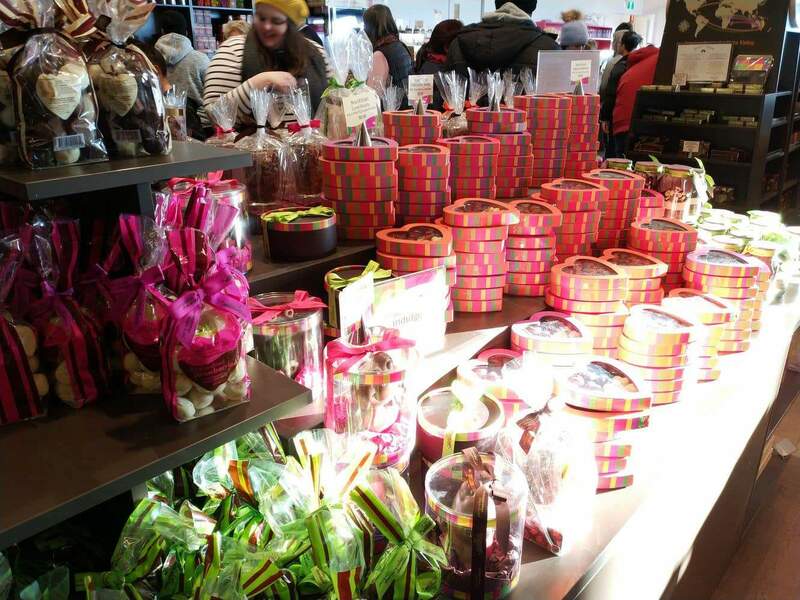 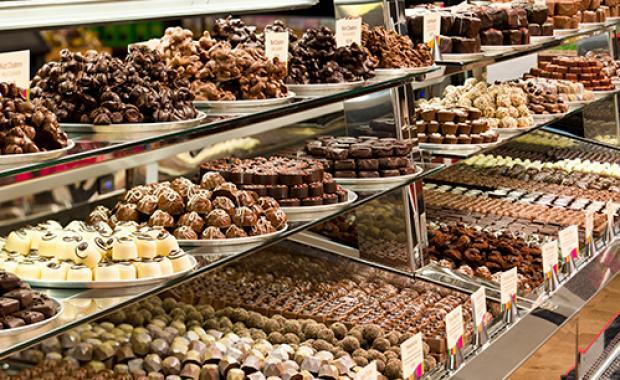 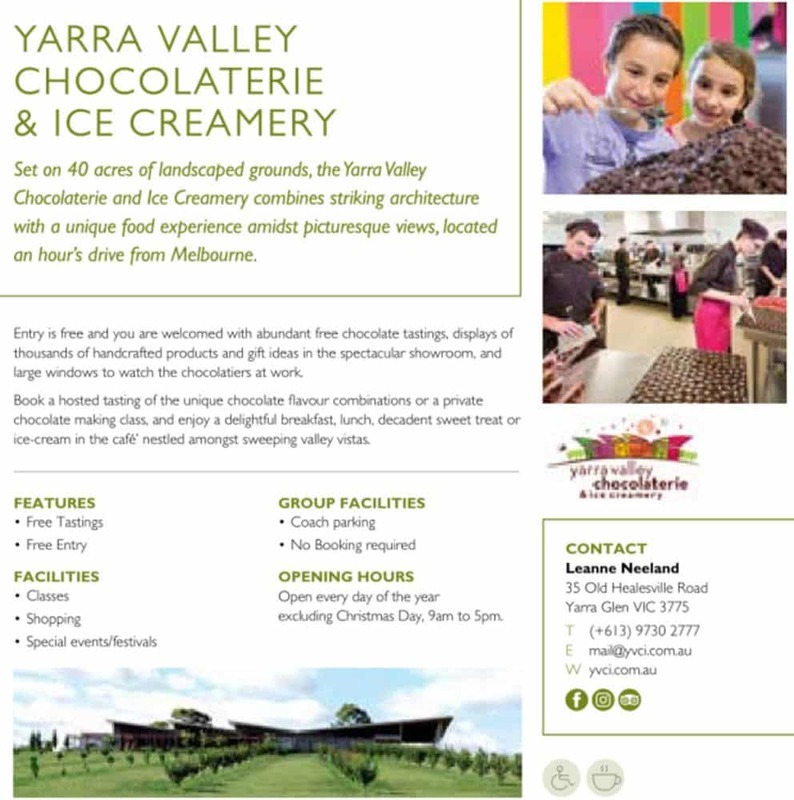 The Yarra Valley Chocolaterie and Ice Creamery is a popular destination for chocolate lovers during their visit to to the picturesque Yarra Valley. 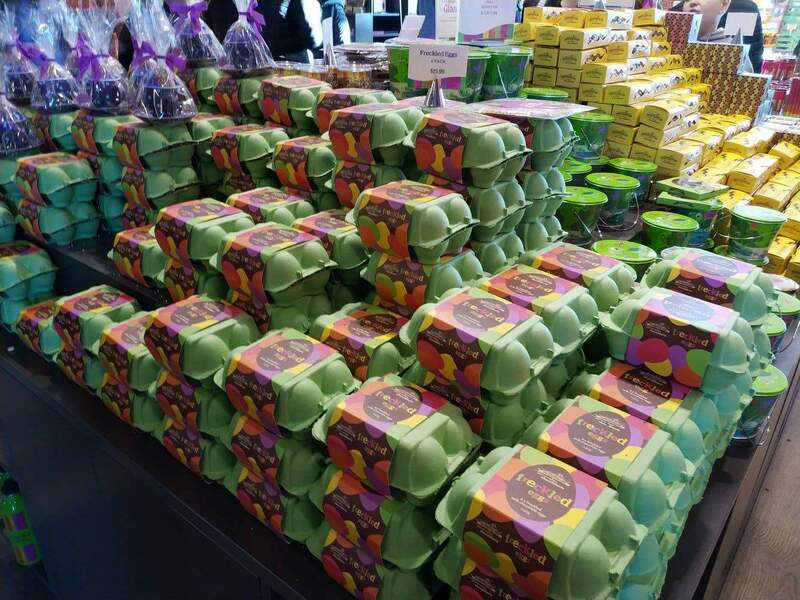 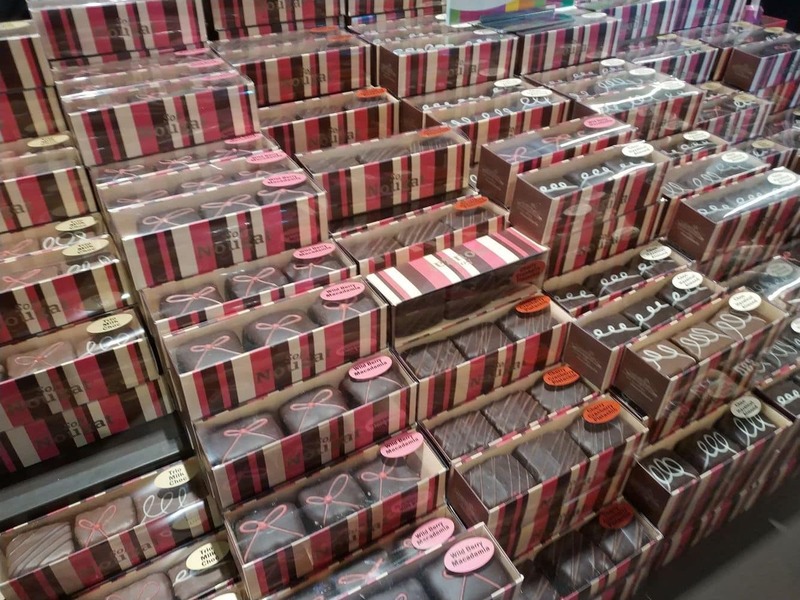 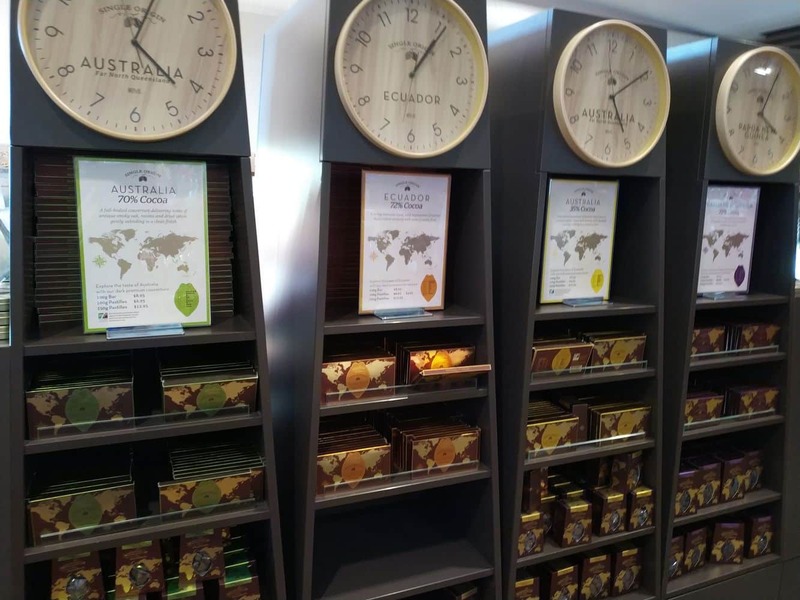 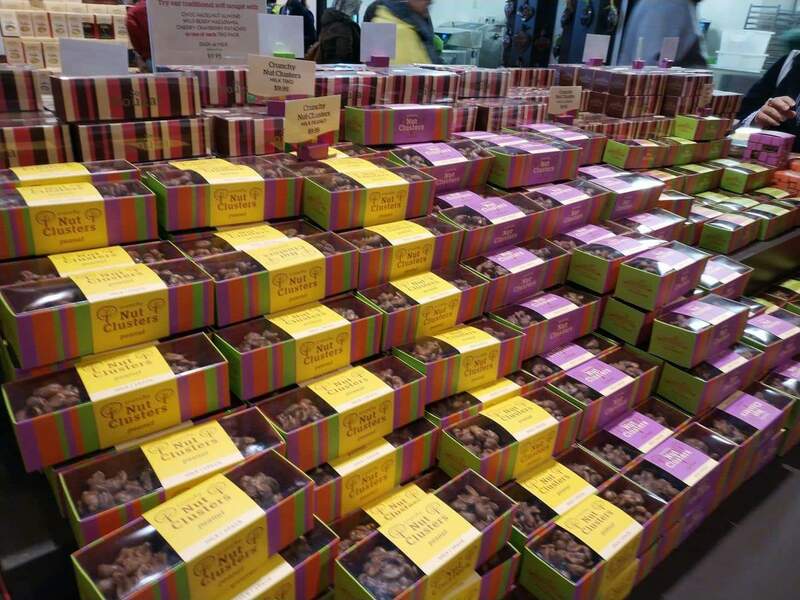 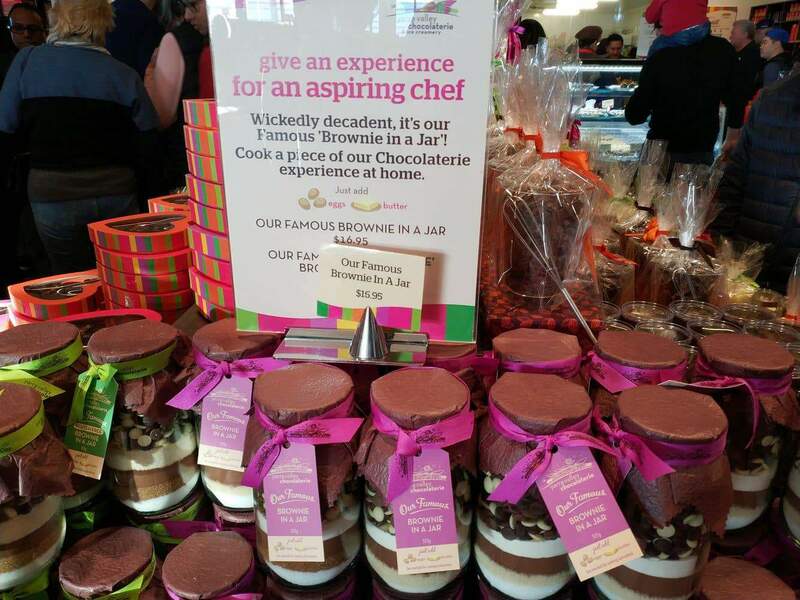 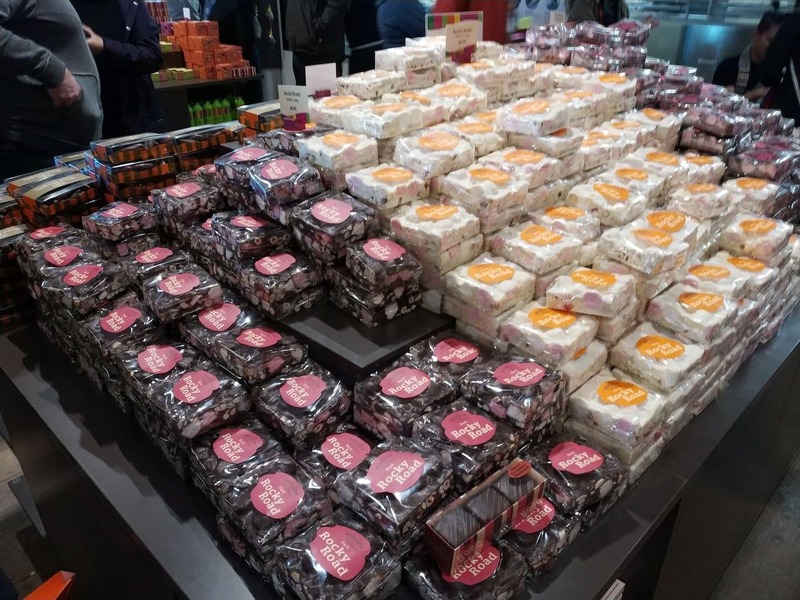 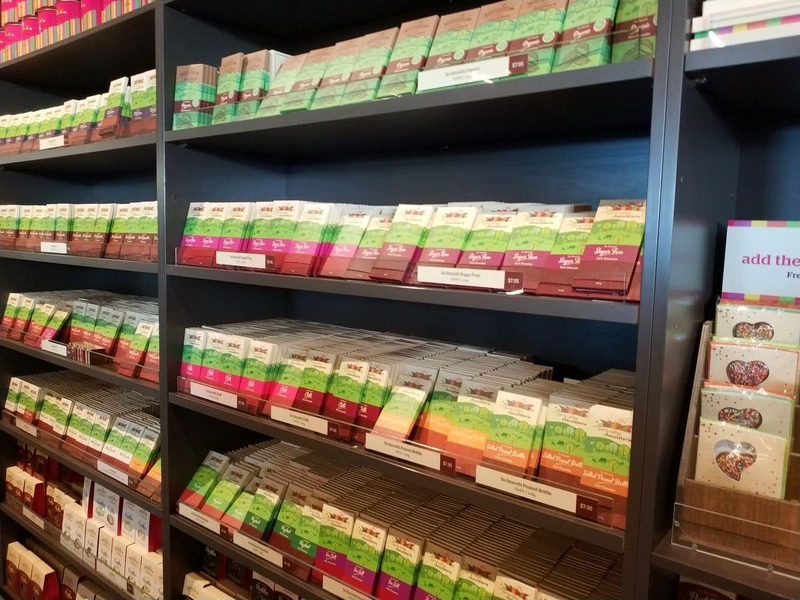 Try before you buy, as there are plenty of free tastings to help you decide; you’ll need to, as there are over 250 varieties of chocolate and ice-cream available for purchase. 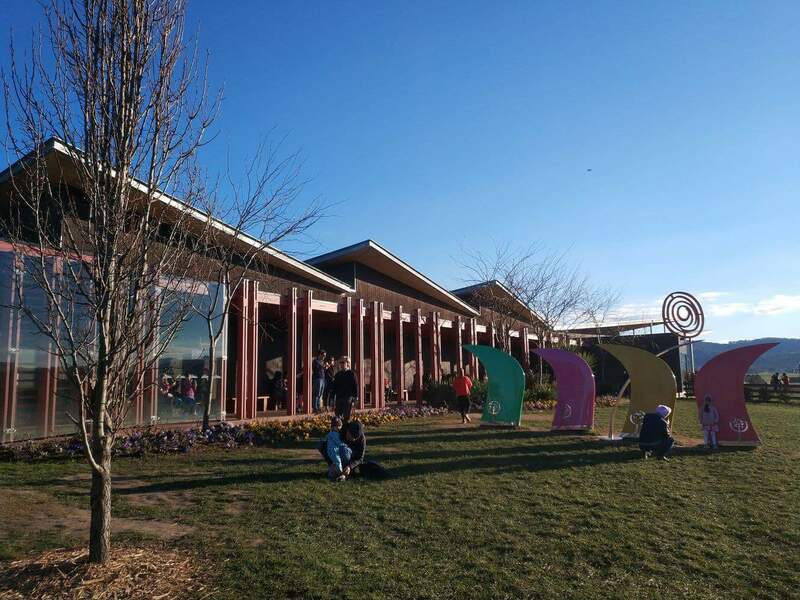 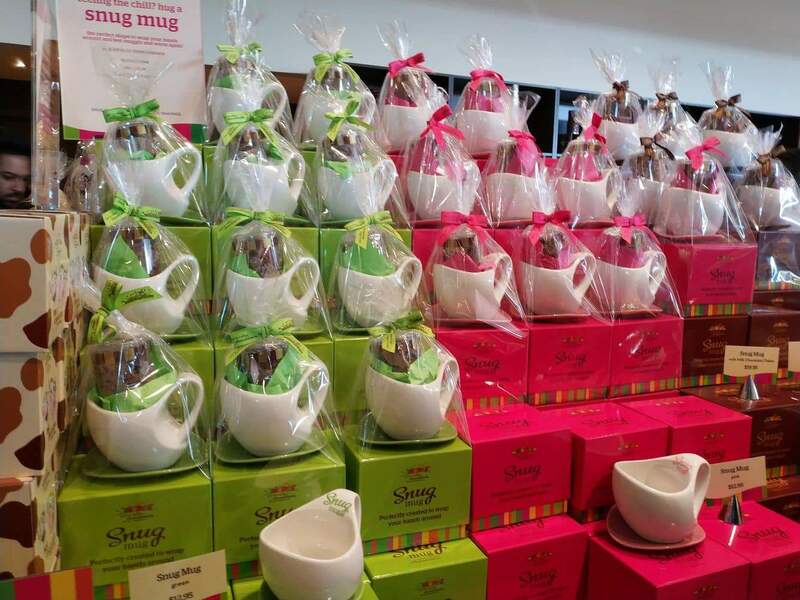 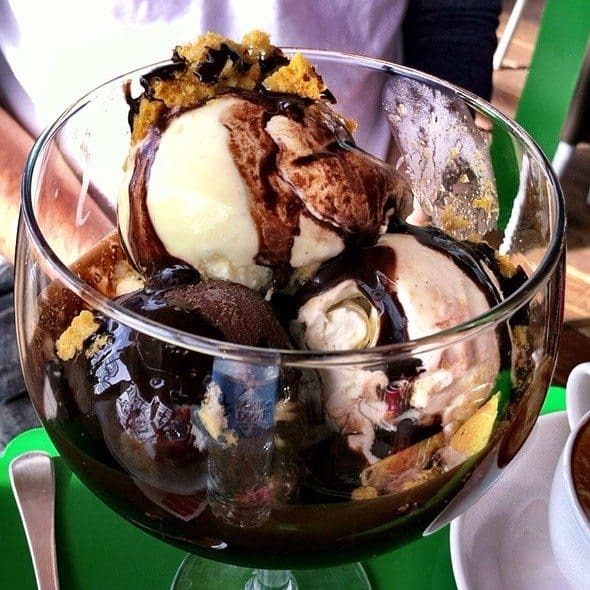 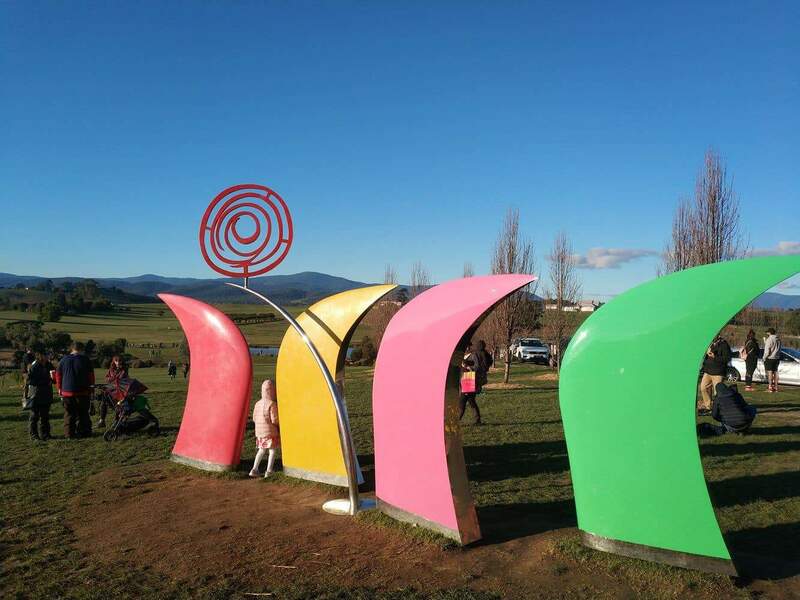 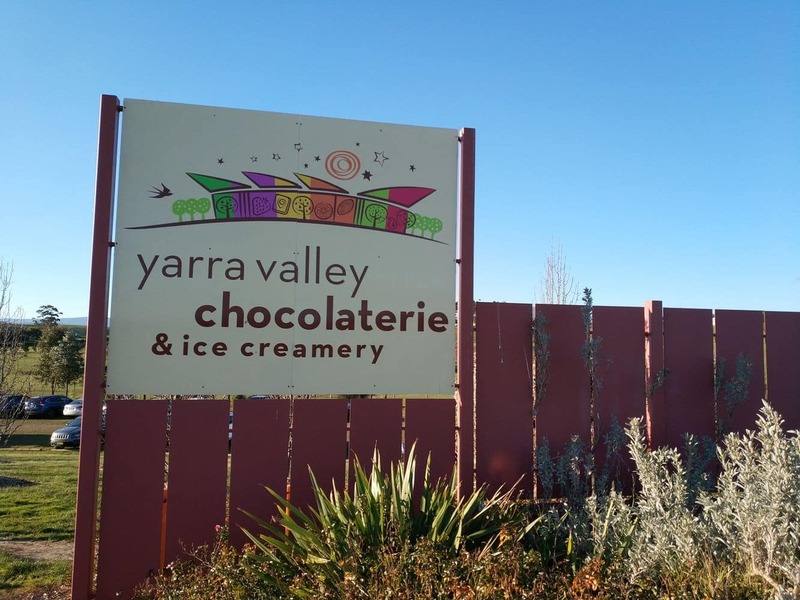 The Yarra Valley Chocolaterie and Ice Creamery is located within the gorgeous Yarra Valley wine region and is surrounded by an orchard and sweeping lawns, this makes it a great place to stop on your journey to the Yarra Valley and enjoy a sweet treat. 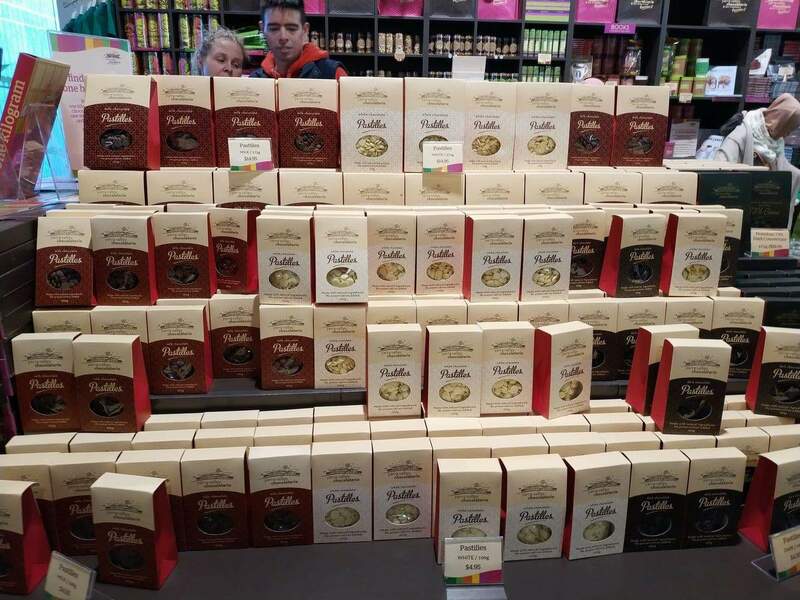 There are hundreds of samples on offer for visitors to the store, so make sure you try all of your favourites as well as a few new varieties. 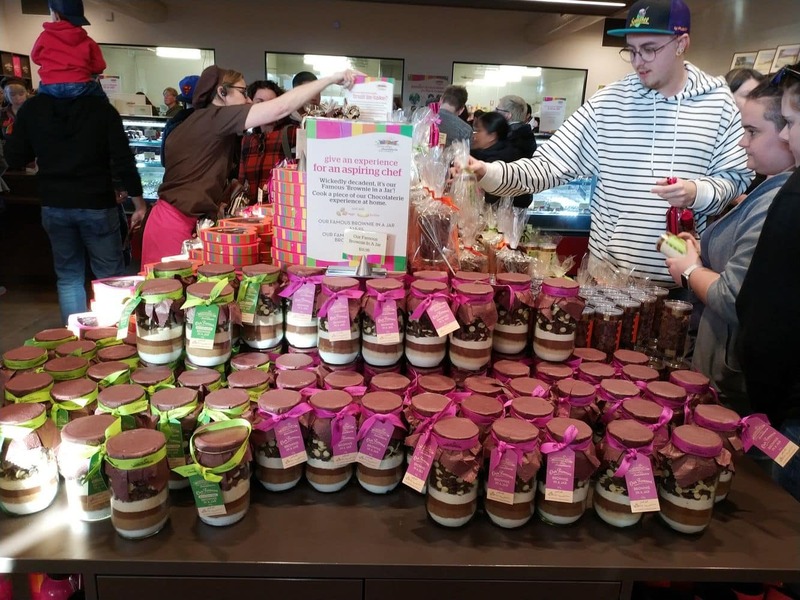 They have everything you could possibly imagine; rocky road, chocolate honeycombes, chocolate covered coffee beans and nuts, giant freckles, chocolate spreads and truffles. 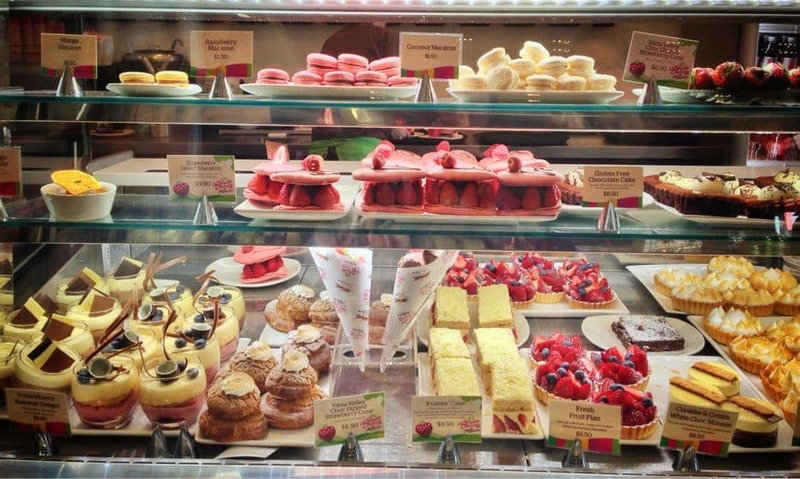 There are also a range of indulgent desserts, fondues, pastries, ice creams and hot chocolates available for sale. 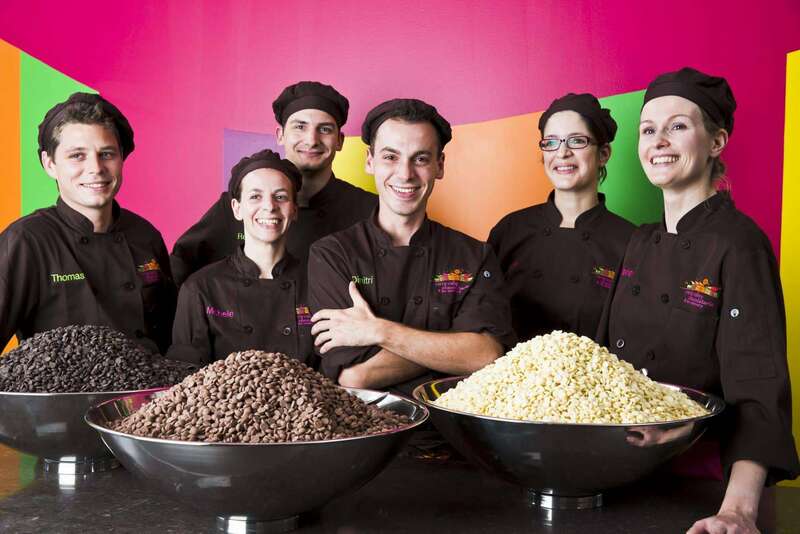 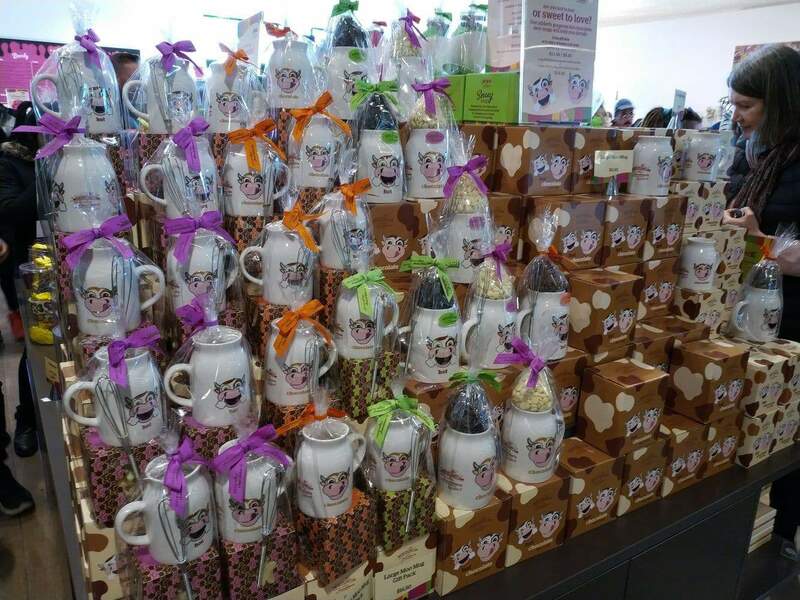 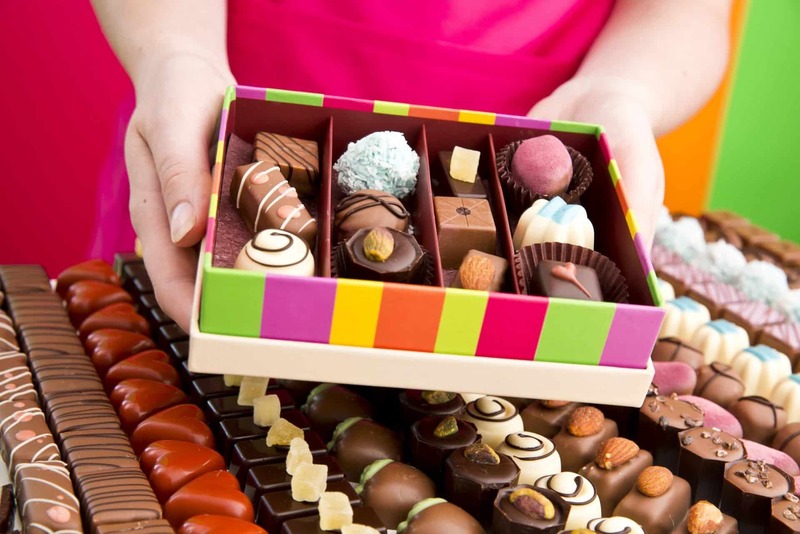 All of the chocolates are crafted by their talented team of Belgian and French chocolatiers and their range is exclusive to their store, so you cannot purchase their chocolates anywhere else. 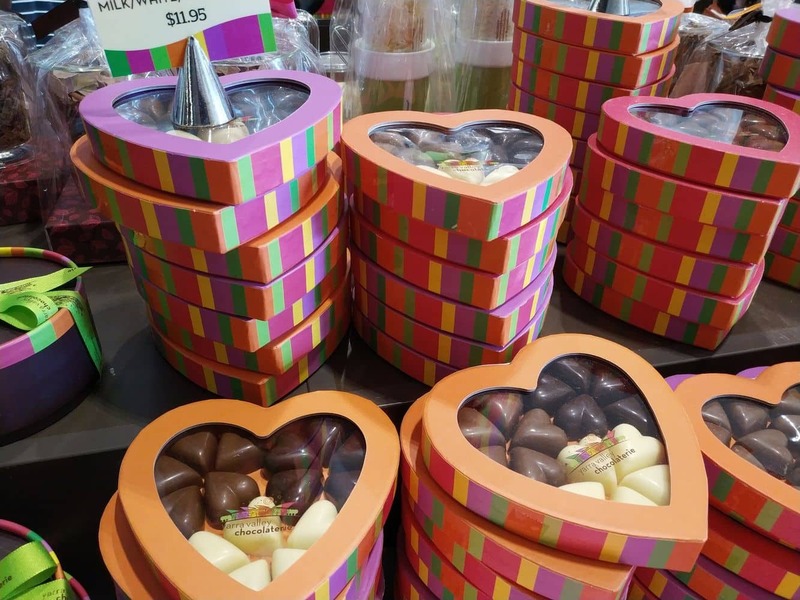 Whilst visiting the store, you can watch the chocolate makers at work and see how they masterfully craft their chocolate creations. 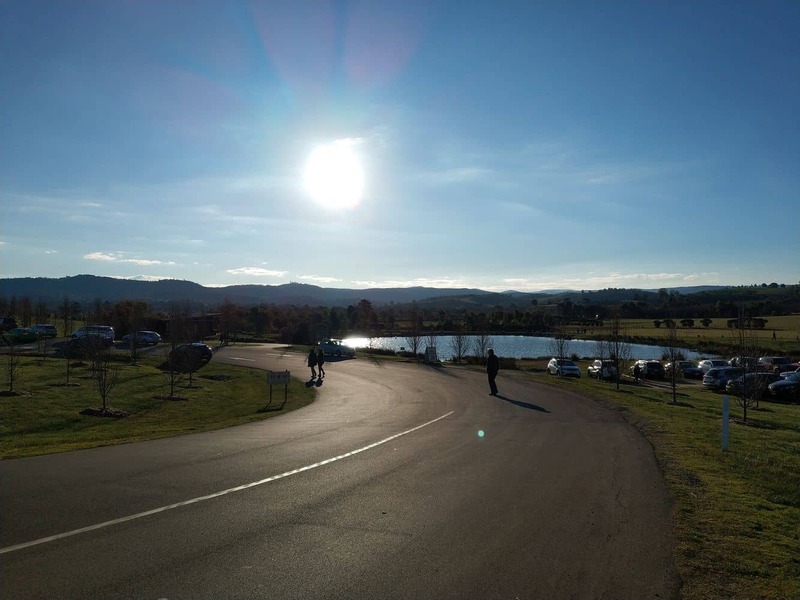 If you are coming to the Yarra Valley for longer stay, simply click on our link below for the best accommodation deals.